This time of year our hands and feet need some extra care - specifically intensive warmth, moisture and relaxation. We invite you to come on in and enjoy one of our Moisture & Massage Treatments. Our treatments start with a Dead Sea salt foot soak, followed by a Dead Sea salt exfoliating scrub, a relaxing 10 minute massage and natural wax intense moisture treatment. Finish with optional application of grounding aromatherapy oils. In the winter we noticed skin gets so dry and dull so take advantage of our special pricing! You have your choice of Hands OR Feet for $35 or for both Hands and Feet $60. ​ Plus, take home with you Alma Naturals Body Butter and Body Scrub and save 15%! Call to book your appointment or book online! ​Happy Spring everyone! Now that the whirlwind of Winter in Toronto has finished, March Break is over, kids have adjusted to being back to school, and everyone is settling back into routine, it’s time to think of the importance of taking care of your body, mind, and skin with the change in season. While monthly facials may seem ambitious due to time and expense to the majority of us, we strongly believe in the importance of facials with the change of seasons. Many of us do a “refresh” and prepare ourselves for the next few months at the beginning of a new season by reorganizing, cleaning, and resetting our goals. In the same way we need to refresh in other aspects of life, our skin needs the same attention. After the Winter, skin is dry, flaky and wrinkles have wreaked havoc on our skin over the winter. Dead skin needs to be sloughed away, pores need a deep cleaning, dry skin needs to be hydrated, and skin needs a chance to breathe and get its glow back. Facials are an excellent way to give your skin the TLC it deserves. Whether your main concern is clearing clogged pores, anti-aging, detoxification, calming irritation, or deep moisturization, a facial can help solve the problem. Treating your skin to a facial even a few times a year gives the skin on your face a chance to start with a “clean slate” for the next few months. Before the fall and winter months when the cold weather often leaves skin dry, flaky, and irritated, a facial allows for freshly cleaned pores to absorb moisturizers and calming facial products more efficiently, and better combat the environmental stress of the winter months. On top of that, at this time of year, it’s an hour to relax and recoup after the stress of September has finished. Really, we believe it is a win-win situation all around! Do You Know What You Are Putting Onto Your Body? Many of us have become aware of what we are putting into our bodies. Organic products are taking off, farmer’s markets are thriving, and health food stores continue to pop up all over the city. Eating organic and avoiding processed foods is a great start to taking better care of ourselves, however, a lot of us are still neglecting to overhaul what we are putting onto our bodies and still using toxic body care products. 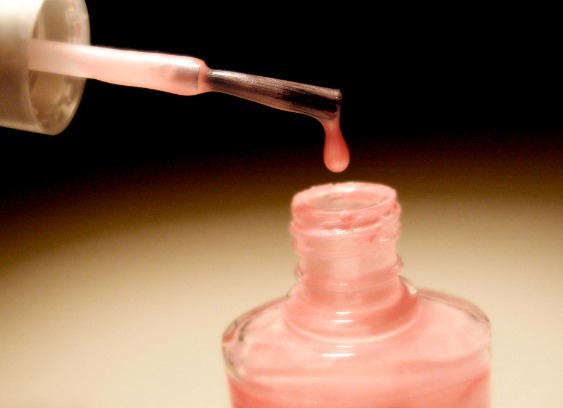 Is Nail Polish Really Organic? Some people call nail polish natural or organic, but nail polish isn’t organic in the same way that an apple or orange is. While many companies have developed non-toxic and low chemical formulas, they still do not meet our definition of organic and the quality of these non-toxic polishes can vary from brand to brand. You can however, still make a healthier, non-toxic choice. We know it can be overwhelming trying to choose the right product when it comes to natural beauty so this post will provide you with a few things to look out for when it comes to choosing a natural polish. Why Drinking Tea is Good For You! It’s hard not to love tea. You can enjoy it hot to warm you up after a frigid winter day or cold to cool you down after a humid summer day. You can get teas both with or without caffeine, and it is a great way to stay hydrated. In addition, these days there is never a lack of flavour variety when it comes to tea. From fruity teas, to earthy teas, to tea flavours that resemble desserts, there are always plenty of options. Too top it all off, many tout tea as superfood due to its long list of health benefits.